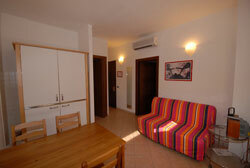 In these section we'll try to help you on the choice of accommodation for your staying in Versilia. Following the list of links you have the chance, whichever is your budget, to find the place that fits for you, from the top quality five stars hotel to the cheap city center hotels or hostels. Versilia offers a range of accomodations options for every budget and preference, from five star hotels, to agriturismos, to budget hostels. If you come to Versilia during the months of July and August be sure to book your accomodations far in advance. You can esaily search and book hotels in Versilia directly with us. A complete and secure on-line hotel and accommodation reservation service that directly links the user with five star and budget hotels, bed and breakfasts and country retreats in Versilia. Detailed profiles of properties facilitate the selection of hotel properties, making it easy to plan an entire vacation accommodation itinerary. Simply select your preferetions and use our on-line reservation system to view property web pages, check availability and send a secure on-line reservation request. We (About Versilia & Booking) enable direct contact between you and property owners in order to find your perfect accommodation solutions in Versilia. VIAREGGIO: accommodation in Viareggio, hotels in Viareggio, apartments in Viareggio, bed & breakfast in Viareggio, residence in Viareggio. FORTE DEI MARMI: accommodation in Forte dei Marmi, hotels in Forte dei Marmi, apartments in Forte dei Marmi, bed & breakfast in Forte dei Marmi, residence in Forte dei Marmi. MARINA PIETRASANTA: accommodation in Pietrasanta, hotels in Pietrasanta, apartments in Pietrasanta, bed & breakfast in Pietrasanta, residence in Pietrasanta. MARINA DI MASSA: accommodation in Marina di Massa, hotels in Marina di Massa, apartments in Marina di Massa, bed & breakfast in Marina di Massa, residence in Marina di Massa. CINQUALE: accommodation in Cinquale, hotels in Cinquale, apartments in Cinquale, bed & breakfast in Cinquale, residence in Cinquale. PIETRASANTA: accommodation in Pietrasanta, hotels in Pietrasanta, apartments in Pietrasanta, bed & breakfast in Pietrasanta, residence in Pietrasanta. TORRE DEL LAGO PUCCINI: accommodation in Torre del Lago Puccini, hotels in Torre del Lago Puccini, apartments in Torre del Lago Puccini, bed & breakfast in Torre del Lago Puccini, residence in Torre del Lago Puccini. MASSA: accommodation in Massa, hotels in Massa, apartments in Massa, bed & breakfast in Massa, residence in Massa. MASSAROSA: accommodation in Massarosa, hotels in Massarosa, apartments in Massarosa, bed & breakfast in Massarosa, residence in Massarosa. MONTIGNOSO: accommodation in Montignoso, hotels in Montignoso, apartments in Montignoso, bed & breakfast in MasMontignososarosa, residence in Montignoso. SERAVEZZA: accommodation in Seravezza, hotels in Seravezza, apartments in Seravezza, bed & breakfast in Seravezza, residence in Seravezza. STAZZEMA: accommodation in Stazzema, hotels in Stazzema, apartments in Stazzema, bed & breakfast in Stazzema, residence in Stazzema. Versilia Airports: Galileo Galilei - PSA /Pisa (more information about the airport of Pisa). The Hotel Residence Luana is a family-run hotel situated just in the centre of Viareggio, only 200m far from the sea. With a brief walk you can easily reach every corner of the city, without missing out on the mix of relaxation, culture and fun that only the town of Viareggio is able to offer to its visitors. An excellent work of renovation has turned the structure into a modern and comfortable building aimed to guarantee a real high-quality stay to the visitors. Rooms and apartments are noiseless and well equipped to give every type of comfort to our guests. The small and private environment and the efficient service aimed to satisfy any kind of visitor's need will make your stay pleasant and satisfying. You will find air-conditioning, TV, telephone and safety-box in every room and a rich and fresh Italian breakfast everyday. This is only a small part of the advantages resulting from choosing the Hotel Luana for your visit to Versilia.